What did you think of tonight's Criminal Minds episode "Jones"? Please post and let us know! Here are some preview caps! Enjoy. Thanks to Lin, I have the quote: Robert Kennedy once said, "Tragedy is a tool for the living to gain wisdom, not a guide by which to live." There will be spoilers for Jones in the comments. From time to time in various Criminal Mind chats and in comments left on this blog we have wondered if the networks care about what the fans are saying about their shows and whether they see what we post on the internet. I am happy to report that I can now answer those questions. CBS does read what is written and does care what the fans think about Criminal Minds. I know this to be true because as you are reading this post I am on the set of Criminal Minds watching them film "Ashes and Dust" which will air March 21st. The circumstances surrounding this wonderful opportunity could not have been more thrilling if the writers of the show had scripted it themselves. I was approached awhile ago by a CBS executive inviting me to come to the set to meet the cast and watch them film. In the middle of planning the trip Linn came up with the wonderful idea of collecting pens for Kirsten. What very few people knew was that I would be able to hand deliver the pens to Kirsten in person. I drafted this post for my blog a few days ago and as of last night turned the blog over to Stacy until I return home. Stacy has agreed to finalize this post today for me. I will not be in the chat this evening since filming runs fairly late into the day. TIVO will record "Jones" for me and I look forward to watching it when I get back home. I packed several sharpies, tons of TV Guides, Parade Mags and pictures to get signed. Three digital cameras are already packed and the presents for the cast are in my suitcases. I would like to thank Stacy for everything she has done to help me get ready for this adventure and for babysitting my blog. 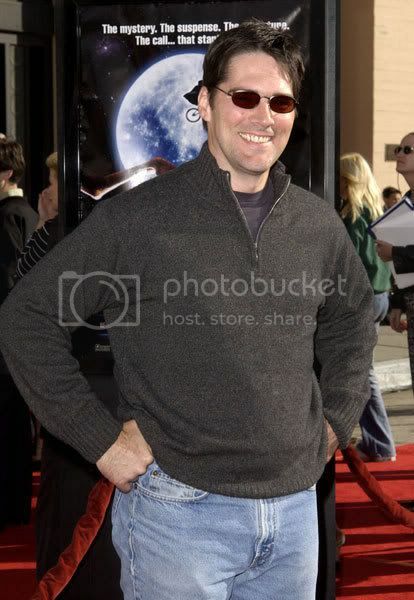 She has promised to not turn the blog into a Thomas Gibson shrine during my absence but lets all keep our fingers crossed. I look forward to sharing the pictures, autographs and personal memories with you all very soon. I promise to take tons of pictures. I feel as though I am going as a representative for everyone who visits this blog and are members of the Yahoo groups that I run. 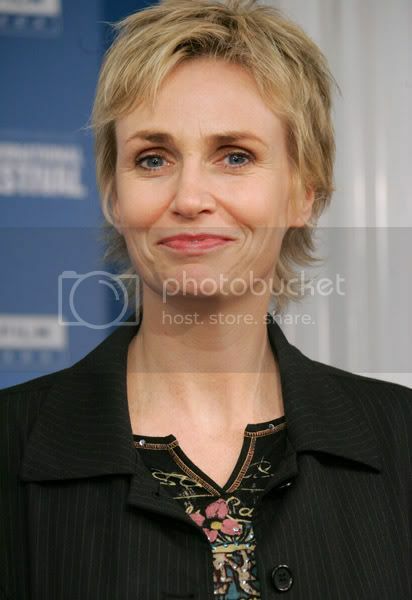 I hope to do you all proud but the last time I met Mandy I was barely able to babble. Lets all hope I can form actual words this time. And how could I let this golden opportunity pass me by? 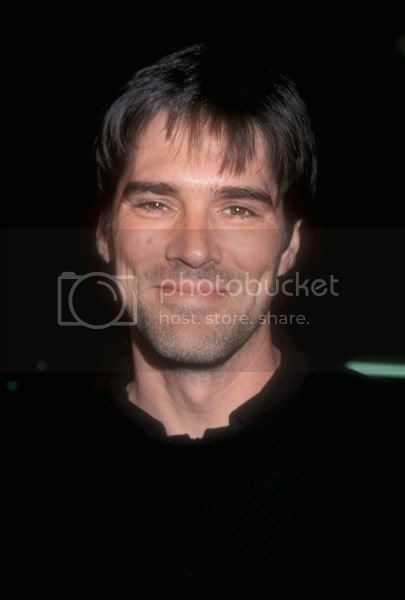 For those who don't know me from the blog, yahoogroup or LJ, I'm a major Hotch (and Thomas Gibson) fangirl! I love the character and think Thomas Gibson is a truly talented actor (after seeing him in Dharma and Greg on DVD for the first time this year and seeing him as Hotch on CM? WOW!) who gives a wonderful performance in every episode, without fail. The fact that he's also a very handsome man is just icing on the cake! CM is the best show on TV and I think that everyone involved in the production, from the producers, to the cast, the crew, and especially the writers deserve kudos for creating something so interesting, compelling and enjoyable! Thank you. Criminal Minds "Empty Planet" airs this evening starring Mandy Patinkin, Shemar Moore, Thomas Gibson, Matthew Gray Gubler, Kirsten Vangsness and A.J. Cook. Great episode. 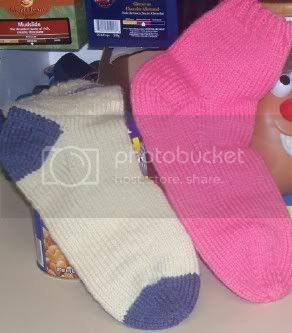 CRIMINAL MINDS: HANDMADE KNIT SOCKS ARE BLOWING MY MIND. 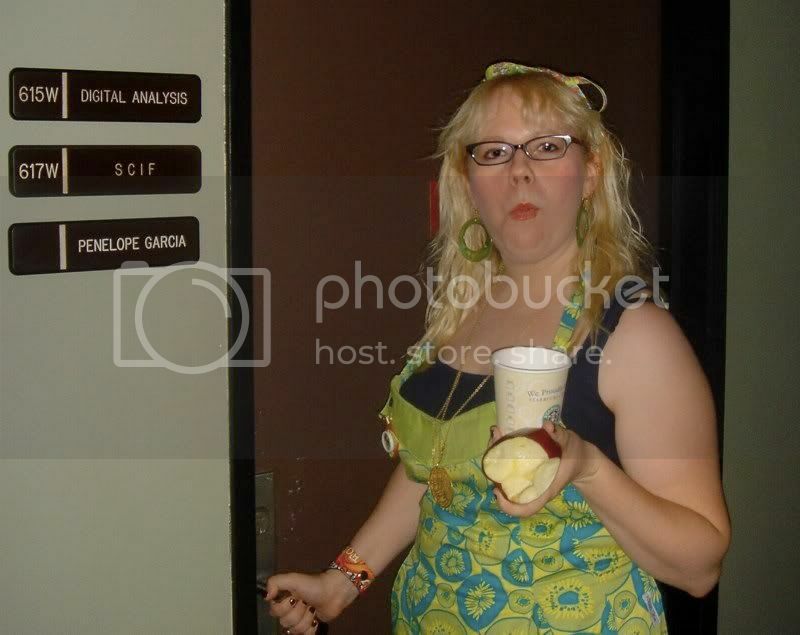 NOT FOR THE EYES OF KIRSTEN VANGSNESS! Criminal Minds episode "Jones" airs on Wed. Feb 28th. 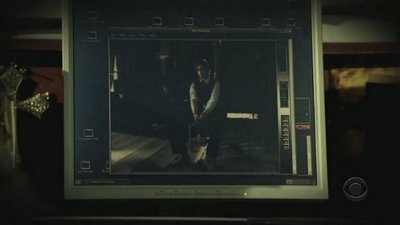 "A case involving a serial killer believed to be copying Jack the Ripper takes Gideon to New Orleans after three victims are found with their throats cut. Once thought to have been killed in Hurricane Katrina, the discovery of a fourth victim in the French Quarter confirms the murderer is still alive. All the evidence and files had been lost in the flood, so the only clue the team has is the word "Jones" that the lead detective wrote on the wall just before he drowned. 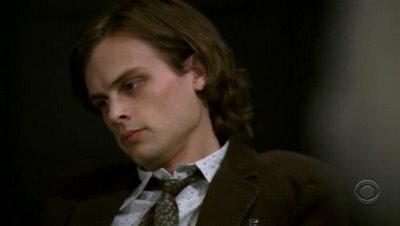 Meanwhile, Reid meets up with an old rival as he continues to struggle with the aftermath of being held hostage". Starring Mandy Patinkin, Matthew Gray Gubler, Thomas Gibson, Shemar Moore, Kirsten Vangsness, A.J. Cook and Paget Brewster. Episode info from cbs.com and screencap courtesy of slashgirl. Criminal Minds, Tuesday, February 27, 10pm et/pt, "Empty Planet". The Behavioral Analysis Unit must help identify and catch a serial bomber terrorizing the city of Seattle. JoBeth Williams guest stars. Starring Mandy Patinkin, Shemar Moore, Thomas Gibson, Matthew Gray Gubler, A.J. Cook, Paget Brewster and Kirsten Vangsness. Episode information courtesy of cbs.com. This makes two weeks in a row that we have had both a new episode and a repeat episode. Thanks CBS. CRIMINAL MINDS: QUOTES & SONG USED IN "DISTRESS"
CRIMINAL MINDS: CBS WINS THE WEEK! NO SURPRISE! "Shark" Matches Its Best Adult 18-49 Rating, Notches Its Second Largest Audience and Finishes in its Closest Competitive Position to "ER"
"NCIS" and "Criminal Minds" Enjoy Top 15 Rankings Opposite "American Idol"
CBS placed first in viewers for the 19th time in 22 weeks as the Network's new comedy RULES OF ENGAGEMENT maintained nearly all of its strong premiere week ratings, CSI: NY expanded its lead over "Lost," CSI: MIAMI hit season highs in viewers and key demographics and SHARK matched its best adult 18-49 of the season, according to Nielsen Live Plus same-day ratings for the week ending Feb. 18, week 22 of the 2006-2007 television season. For the week in viewers, CBS (12.28m) finished ahead of FOX (12.22m), ABC (9.56m) and NBC (8.64m). Season-to-date in viewers, CBS (13.12m) is first, followed by ABC (9.99m), NBC (9.68m) and FOX (9.44m). For the week in key demographics, CBS averaged a 4.5/11 in adults 25-54 and 3.5/09 in adults 18-49. Season-to-date, CBS is in sole possession of first place in both adults 18-49 (4.0/11) and adults 25-54 (5.0/12). For the week in households, CBS (7.8/13) was +8% ahead of FOX (7.2/11), +28% ahead of ABC (6.1/10) and +39% ahead of NBC (5.6/09). Season-to-date, CBS is first in households (8.2/13), outpacing ABC by +28% (6.4/10), NBC by +32% (6.2/10) and FOX by +41% (5.8/09). For the first 18 days of the February 2007 sweep, CBS is first in households (10.3/16), viewers (17.75m), adults 25-54 (6.9/16) and adults 18-49 (5.8/15).
? RULES OF ENGAGEMENT (8.6/12, 13.43m) maintained 100% of its TWO AND A HALF MEN lead-in among adults 18-49 (4.9/11) and 97% of adults 25-54 (6.0/13 from 6.2/13). RULES OF ENGAGEMENT retained 90% of viewers (from 14.84m), 95% of adults 25-54 (from 6.3/13) and 94% on adults 18-49 (from 5.2/12) from last week's premiere.
? CSI: MIAMI was first in households (12.7/21), viewers (19.90m), adults 25-54 (8.0/19) and adults 18-49 (6.5/17), all season highs.
? NCIS was second in households (9.6/14), viewers (15.36m), adults 25-54 (4.8/11) and adults 18-49 (3.6/08).
? CRIMINAL MINDS was second behind FOX's "American Idol" in households (9.4/14), viewers (15.16m), adults 25-54 (5.2/11) and adults 18-49 (3.9/09).
? CSI: NY was first in households (9.5/15), viewers (14.81m), second behind "Lost" in adults 25-54 (5.6/13), adults 18-49 (4.5/12) and adults 18-34 (3.1/09). Compared to last week, CSI: NY improved its lead over the ABC drama in both households (+1.9 rtg pts from +1.3 rtg pts) and viewers (+1.97m viewers from +480,000) and closed the gap in adults 25-54 (-0.6 from -1.0), adults 18-49 (-1.2 from -1.9) and adults 18-34 (-2.0 from -3.1).
? SURVIVOR: FIJI was first in households (9.4/14), viewers (16.08m), adults 25-54 (6.7/16) and adults 18-49 (5.6/15). SURVIVOR enjoyed a +3% advantage over second place ABC in households (vs. 9.1/14), +37% in adults 25-54 (vs. 4.9/12), +24% in adults 18-49 (vs. 4.5/12) and +18% in viewers (vs. 13.66m, +2.42m). SURVIVOR dominated NBC's sitcoms by +71% in households (vs. 5.5/08), +56% in adults 25-54 (vs. 4.3/10), +33% in adults 18-49 (vs. 4.2/11) and +79% in viewers (vs. 8.97m, +7.11m).
? CSI: CRIME SCENE INVESTIGATION was second in households (13.8/20), viewers (22.71m), adults 25-54 (8.8/19), adults 18-49 (7.3/17) and adults 18-34 (5.1/13). This is CSI's best delivery in viewers and adults 25-54 since January 4, 2007.
? SHARK was first in households (9.8/16), viewers (15.12m), tied for first in adults 25-54 (5.4/13, with NBC) and second in adults 18-49 (4.4/12). SHARK has won its time slot in viewers for five consecutive weeks. This matches SHARK's best first-run adults 18-49 delivery and is the second largest audience delivery to date. SHARK finished in its closest competitive position to a first-run "ER" in adults 18-49 (-0.4 rtg pts, 4.4/12 vs. 4.8/13). SHARK started the season -2.7 rating points behind "ER" in adults 18-49.
? GHOST WHISPERER won its time period in households (7.6/13), viewers (11.35m), adults 25-54 (4.3/13) and adults 18-49 (3.2/10). This is GHOST WHISPERER's best viewer delivery since Nov. 10, 2006.
? NUMB3RS was first in households (6.9/12), viewers (10.69m), adults 25-54 (4.0/11) and adults 18-49 (3.1/09).
? The premiere of THE AMAZING RACE: ALL-STARS (8:27-9:27PM) was second from 8:30-9:30PM in households (6.2/10), viewers (10.29m) and adults 25-54 (3.9/09). Compared to the 90-minute first episode of THE AMAZING RACE on Sept. 17, 2006, the winter premiere added +160,000 viewers (from 10.13m, +2%). CBS top programs of the week: #5 CSI: CRIME SCENE INVESTIGATION (an average of 22.71m viewers), #6 CSI: MIAMI (19.90m), #9 SURVIVOR: FIJI (16.08m), #11 TWO AND A HALF MEN (15.50m), #12 NCIS (15.36m), #13 CRIMINAL MINDS (15.16m), #14 SHARK (15.12m), #15 CSI: NY (14.81m), #20 RULES OF ENGAGEMENT (13.43m), #24 60 MINUTES (12.45m), #26 THE UNIT (11.87m), #27 COLD CASE (11.60m), #29 WITHOUT A TRACE (11.42m) and #30 GHOST WHISPERER (11.35m). 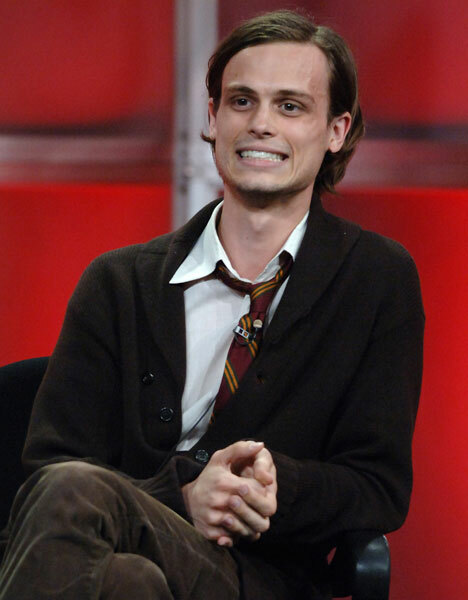 MATTHEW GRAY GUBLER: WHATEVER MAKES HIM HAPPY! CRIMINAL MINDS: JUST ONE QUESTION GAME. CRIMINAL MINDS: "AND THE EMMY GOES TO" GAME. CRIMINAL MINDS: THOMAS GIBSON FEATURE ARTICLE! 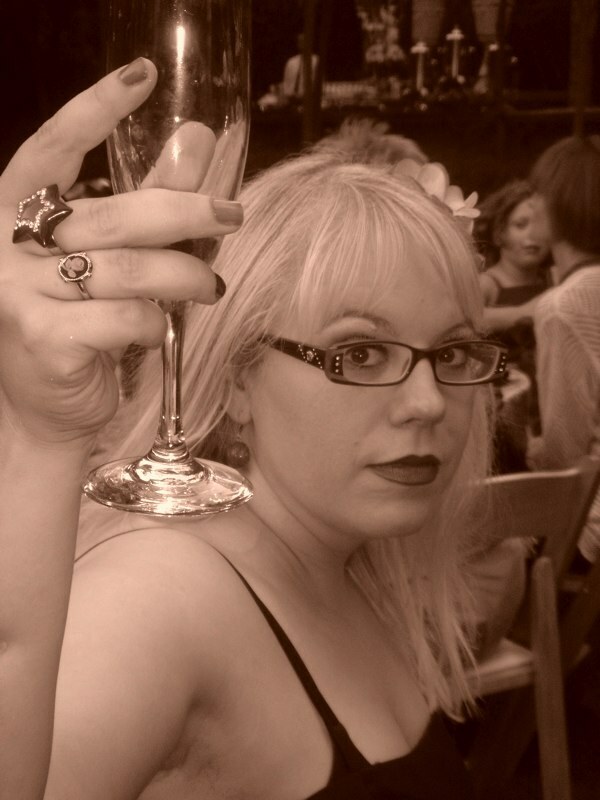 CRIMINAL MINDS: KIRSTEN HAS UPDATED HER BLOG! Kirsten Vangsness, Garcia on Criminal Minds, has posted a new entry on her CBS Criminal Minds Blog. It is hilarious so pop on over and take a look. Kirsten's picture is courtesy of her wonderful friend Eric. Last night's episode of Criminal Minds "Fear & Loathing" was really good. I hope that everyone enjoyed it. This is the last strip of screencaps from the episode. 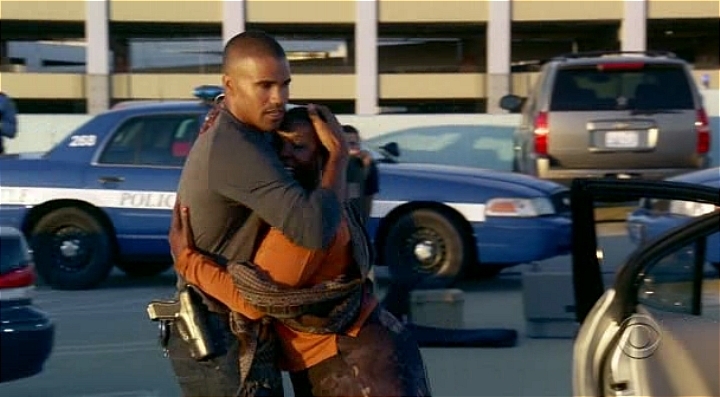 Wonderful performances by Shemar Moore, Mandy Patinkin, Matthew Gray Gubler, Thomas Gibson, A.J. Cook, Paget Brewster and Kirsten Vangsness. 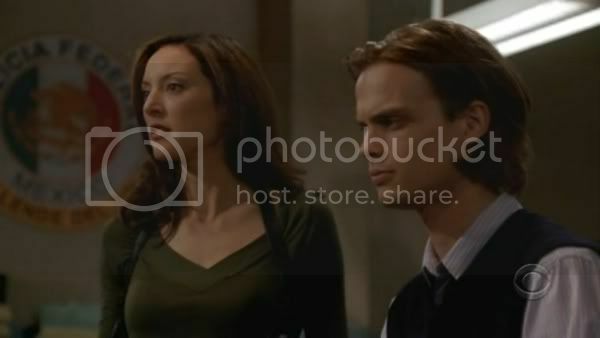 Screencaps for Criminal Minds "Fear and Loathing" are courtesy of slashgirl. THE COPYING OF PICTURES FROM THIS BLOG IS FORBIDDEN. Matthew Gray Gubler, Dr. Spencer Reid on Criminal Minds, will be featured in a two page spread in the Feb. 26th TV Guide. This is going to be wonderful so lets all buy multiple copies. Gideon opening quote: "From the deepest desires often come the deadliest hate"
Reid closing quote: "The life of the dead is placed in the memory of the living"
Thank you to CBS for giving us all a new episode "Fear and Loathing" for Valentine's Day. I wonder what Mandy Patinkin, Shemar Moore, Thomas Gibson, Matthew Gray Gubler, A.J. Cook, Kirsten Vangsness and Paget Brewster do to celebrate Valentine's Day. Any ideas? What is next for Dr. Spencer Reid, Matthew Gray Gubler, on Criminal Minds? Criminal Minds "Revelations" screencaps courtesy of slashgirl. 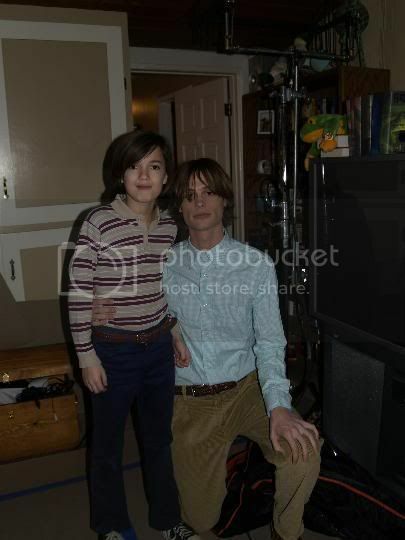 Criminal Minds: Guest stars: Jane Lynch (Diana Reid) and Remy Thorne (young Spencer Reid) on the set of Criminal Minds. 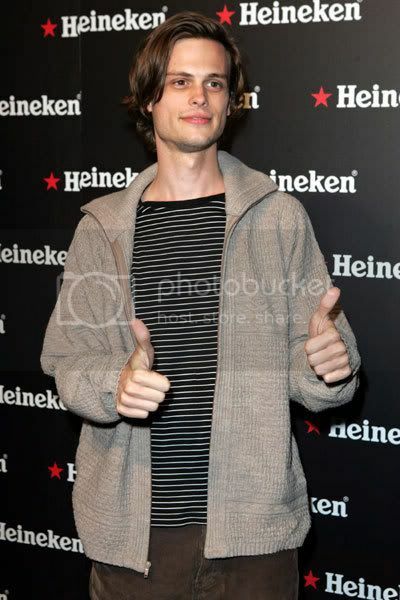 I love the picture of Remy with Matthew Gray Gubler. So sweet. Wonderful performances by both performers in "Revelations". Criminal Minds "Fear & Loathing" on Wednesday, February 14, 9pm et/pt: The BAU team travels to an upscale New York neighborhood to hunt a serial killer they fear is racially motivated. CRIMINAL MINDS SCREENCAPS FOR "REVELATIONS", STRIP ONE. Criminal Minds "Revelations" screencaps courtesy of slashgirl. There are so many wonderful screencaps for this incredible episode that I am dividing them into separate strips. I will post more over the weekend. What a great episode. 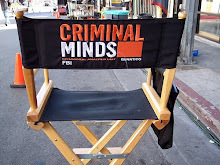 Kudos again to Kirsten Vangsness, Matthew Gray Gubler, Mandy Patinkin, Thomas Gibson, Shemar Moore, A.J. Cook and Paget Brewster. 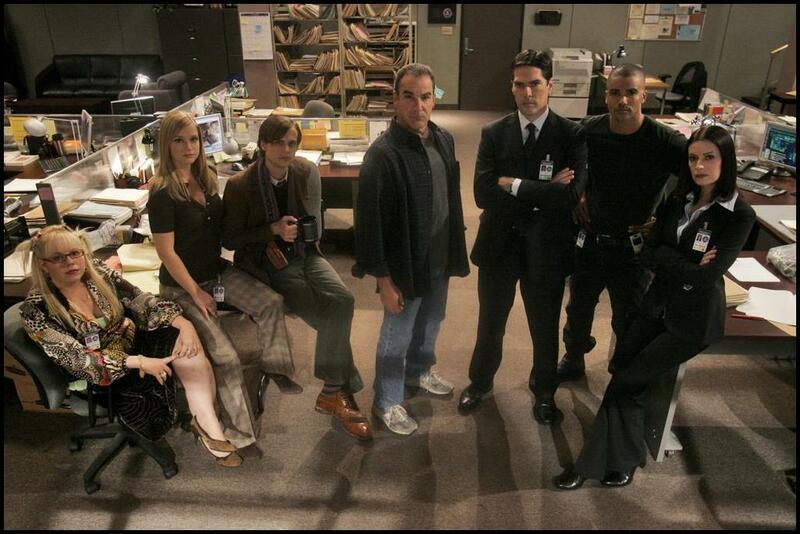 Criminal Minds Rules! CRIMINAL MINDS: CBS RATINGS PRESS RELEASE. "CSI: NY" Wins Time Period in Viewers Topping Highly Promoted Return of "Lost"
Post Super Bowl Broadcast Boosts "Criminal Minds" By +32% in Viewers, +55% in Adults 18-49 and +40% in Adults 25-54 Versus Last First-Run Episode, Also Against "American Idol"
CSI: NY topped the highly promoted return of "Lost" in viewers while CRIMINAL MINDS received a big post Super Bowl boost with significant gains versus its last first-run Wednesday broadcast, according to preliminary Nielsen Live Plus same-day ratings for Feb. 7. CSI: NY was first in households (10.2/16), viewers (15.78m), second behind the time period premiere of "Lost" in adults 25-54 (6.0/14), adults 18-49 (4.9/12) and adults 18-34 (3.7/10). CSI: NY topped "Lost" by over one million viewers (vs. 14.68m). Compared to CSI: NY's first-run, live plus same day delivery this season, CSI NY was up +3% in adults 18-34 (from 3.6/11) and retained 99% of both its household (from 10.3/17) and viewers (from 15.98m) deliveries, 97% of adults 25-54 (from 6.2/15) and 98% of adults 18-49 (from 5.0/12). CRIMINAL MINDS was second behind FOX's "American Idol" in households (11.0/16), viewers (17.23m), adults 25-54 (6.6/14) and adults 18-49 (5.1/12). This matches CRIMINAL MINDS best ever Wednesday delivery in adults 25-54 and is the best performance for the program ever against "American Idol" in households, viewers, adults 18-49 and adults 25-54. In its first regularly scheduled broadcast since its post Super Bowl airing on Sunday, CRIMINAL MINDS posted significant increases over its last first-run episode. Compared to its last first-run broadcast, also opposite "American Idol," CRIMINAL MINDS was up +32% in viewers (from 13.07m), +55% in adults 18-49 (from 3.3/07) and +40% in adults 25-54 (from 4.7/10). At 8:00 PM, CRIMINAL MINDS (R) (S) was second in households (7.0/11), viewers (10.27m), adults 25-54 (3.8/09) and adults 18-49 (2.8/08), all behind a first run episode of "Bones" on FOX. For the night, CBS was second in households (9.4/14), viewers (14.43m), adults 25-54 (5.5/13) and adults 18-49 (4.3/10, +0.1 ahead of ABC). This is CBS's best Wednesday delivery in households, viewers, adults 18-49 and adults 25-54 since Nov. 29, 2006. 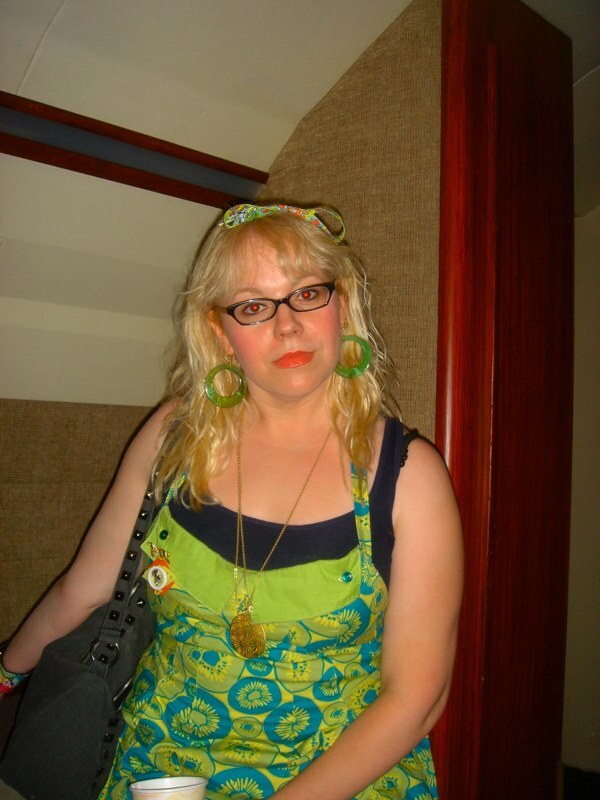 CRIMINAL MINDS: KIRSTEN VANGSNESS HAS UPDATED HER CBS BLOG! CRIMINAL MINDS: SCREENCAPS FOR "REVELATIONS"
Stacy (slashgirl) is busy making Criminal Minds "Revelations" screencaps for us but she was kind enough to send some preview caps. Thanks Stacy. CRIMINAL MINDS: DID YOU NOTICE? Did anyone notice that Matthew Gray Gubler's character Dr. Spencer Reid was wearing his infamous mismatched socks in last night's episode of Criminal Minds? Thanks to Stacy (slashgirl) for catching that tidbit for us. I totally missed it. Did you notice it? 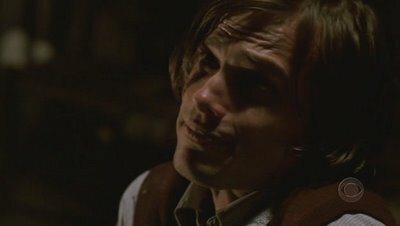 The songs from tonight's Criminal Minds episode "Revelations" were "Sympathy for the Devil" by the Rolling Stones and "The Funeral" by Band of Horses. Lets play a game while we wait for our Criminal Minds episode tonight. 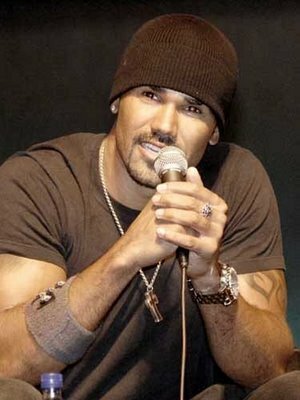 If I gave you $100 to go Valentines Day shopping with: Would you buy a gift for Mandy Patinkin, Matthew Gray Gubler, Thomas Gibson, Shemar Moore, Kirsten Vangsness, A.J. Cook or Paget Brewster? What would the gift be and why would you choose that particular gift? 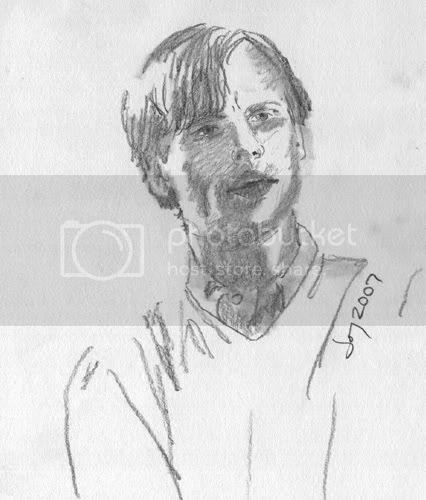 The drawing of Matthew Gray Gubler (Dr. Spencer Reid) is courtesy of Joey. I am getting sick of reading negative reports pointing out that "Criminal Minds" did not do as well in the after Super Bowl spot as "Grey's Anatomy" did last year. It is like comparing an apple and an orange since both shows are completely different than each other. Lets just talk about the real truth for a moment and see where it gets us. Criminal Minds scored its highest ever ratings with "The Big Game". If I wanted to get snarky, and we all know I can from time to time, I could point out that no show has beaten the "Friends" record set in 1996. Does that mean that all the other shows were failures? No it doesn't. Personally I am thrilled with the overnight numbers. I have read no CBS Press Releases saying they had made the actors go stand in the corner so evidently they are happy with the numbers. The fans of the show enjoyed themselves and new viewers have been added to the fold. And if I might be allowed to get a bit snarky for just a moment then let me point out that the majority of negative articles showing up on the internet are the same article being printed verbatim and rehashed in all the local papers. God love the AP. I stand behind my opinion of the episode and I commend CBS's choice to air the show in such a coveted spot and I commend the writers, the crew and the wonderful cast who gave us such wonderful performances. Kudos to Mandy Patinkin, Kirsten Vangsness, Thomas Gibson, A.J. Cook, Matthew Gray Gubler, Paget Brewster and Shemar (I can dance) Moore. One of the things we fans were hoping for from the airing of "The Big Game" was an influx of new Criminal Minds fans. Judging by the emails I have received, and am still receiving, the show has accomplished that goal. I truly welcome all the show's newest fans and I hope you will not only tune in tomorrow for "Revelations" but continue to watch Criminal Minds from now on. It is a wonderful show and you have only had a taste of it. The best is yet to come. As I have explained to the many of you I have had the time to email back, amazon.com and most stores are still selling the Criminal Minds: Season One DVDs. Not only will you have all of the Season One episodes but the extras included are priceless. 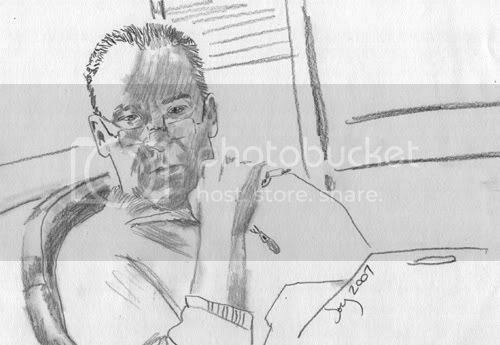 The lovely Jason Gideon drawing is from our wonderful friend Joey. The Criminal Minds Yahoo Group chat is scheduled for Wednesday, February 7th at 10pm est. "Revelations" looks like it is going to be a wonderful episode. Lets get together and discuss our favorite show and Mandy Patinkin, Shemar Moore, Matthew Gray Gubler, Thomas Gibson, Kirsten Vangsness, A.J. Cook and Paget Brewster. See you all there! Kirsten's picture above is courtesy of her friend Eric. 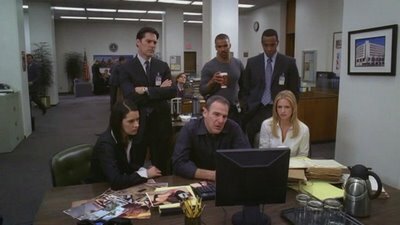 This is the last strip of screencaps from Criminal Minds episode "The Big Game" starring Mandy Patinkin, Matthew Gray Gubler, Thomas Gibson, Shemar Moore, A.J. Cook, Kirsten Vangsness and Paget Brewster. screencaps courtesy of catty lizzie. This is the first strip of screencaps from Criminal Minds episode "The Big Game" starring Mandy Patinkin, Matthew Gray Gubler, Thomas Gibson, Shemar Moore, A.J. Cook, Kirsten Vangsness and Paget Brewster. screencaps courtesy of catty lizzie. CRIMINAL MINDS PROMO FOR "REVELATIONS"
According to preliminary results, more people watched Peyton Manning and the Colts win Super Bowl XLI than last year's big game. NEW YORK (CNNMoney.com) -- Preliminary ratings for Super Bowl XLI showed that more people watched the Indianapolis Colts' victory over the Chicago Bears than last year's game featuring the Pittsburgh Steelers and Seattle Seahawks. According to a statement by CBS (Charts), which televised the game, the Super Bowl earned an average household rating of 42 and share of 63. This means that 42 percent of all households in the U.S. were tuned into the game and that 63 percent of all households watching TV on Sunday night were watching the game. These ratings, if they hold, are slightly higher than last year's ratings. And last year's game had been the most-watched Super Bowl since 1996. Last year's game, which aired on Walt Disney (Charts)-owned ABC, averaged a household rating of 41.6 according to Nielsen Media Research, and a household share of 62. 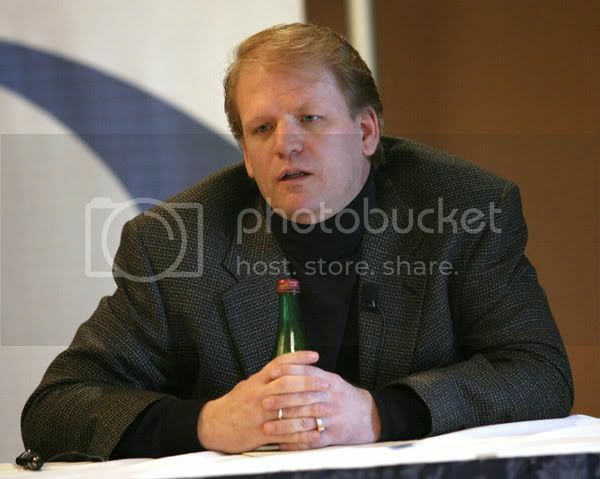 Nearly 90.7 million viewers tuned into Super Bowl XL last year. Figures for the number of viewers for this year's Super Bowl were not immediately available. CBS also said that preliminary overnight ratings for a special episode of "Criminal Minds," which aired after the game, averaged a 15.3 household rating and 26 share, the highest ratings ever for the show, which usually airs on Wednesday nights at 9PM EST. The average ratings for "Criminal Minds" this season are a 9.7 household rating and 15 household share, according to Nielsen Media Research. But the post-Super Bowl episode of "Criminal Minds" did not appear to do nearly as well as last year's "Grey's Anatomy," which aired on ABC after Super Bowl XL. That episode averaged a 34 rating and a 21 share and was watched by 37.9 million viewers. Criminal Minds, Wednesday February 7, 2007 9pm est. 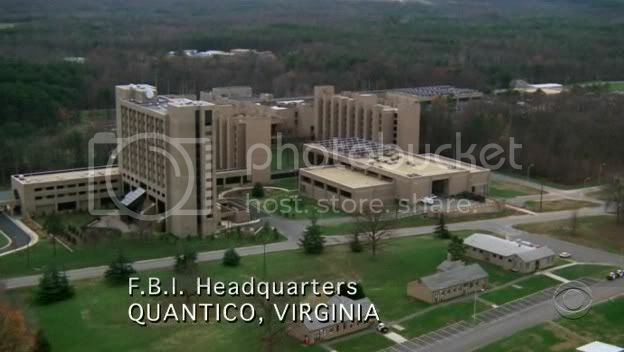 In this conclusion of a special two-part episode, finding the serial killer becomes critical to the BAU when the team realizes Reid is being held captive by the serial killer and a live feed of him bound and gagged is shown on the internet. Meanwhile, Reid's troubled childhood is revealed in flashback sequences as he drifts in and out of consciousness. CRIMINAL MINDS PREVIEW SCREENCAPS FOR "THE BIG GAME"
CRIMINAL MINDS: SONG INFO FROM "THE BIG GAME"
CRIMINAL MINDS: FAVORITE EPISODE FROM SEASON ONE? Every once in awhile during a Yahoo Criminal Minds Group chat I ask the members what their one favorite episode has been. It is almost impossible for the members to pick just one episode. Lets narrow it down by seasons and see what we come up with. What is your favorite episode from the first season? 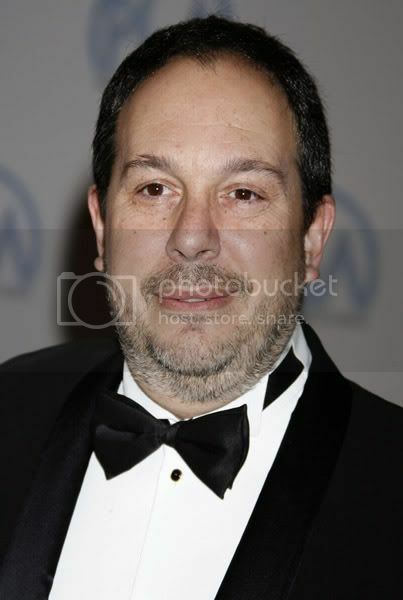 Pictured above is Edward Allen Bernero, Executive Producer of Criminal Minds. 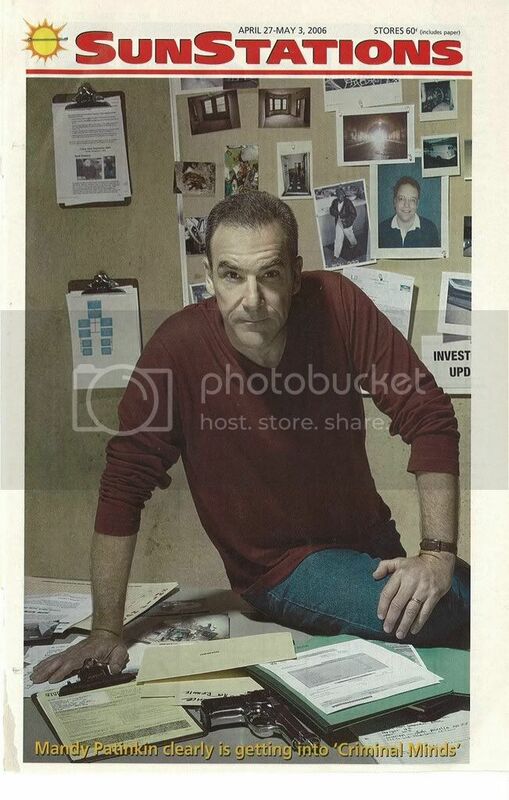 Thanks to Lin for sending me this wonderful picture of Mandy Patinkin (Jason Gideon on Criminal Minds). CRIMINAL MINDS MADE THE FRONT PAGE OF CNN.COM ENTERTAINMENT SECTION! I was in shock to see Criminal Minds on the front page of cnn.com's entertainment section. Maybe our show is finally going to get the respect it deserves. Bravos to Mandy Patinkin, Matthew Gray Gubler, Shemar Moore, Thomas Gibson, Kirsten Vangsness, A.J. Cook and Paget Brewster. 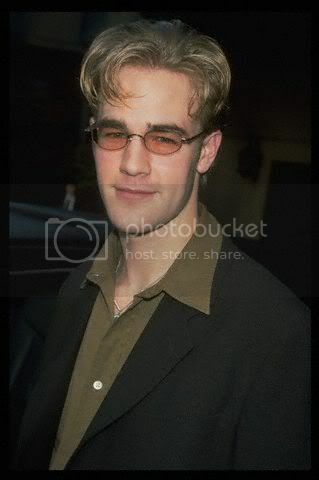 CRIMINAL MINDS: JAMES VAN DER BEEK PAYS A VISIT.